"Finder for AirPods" has been pulled by Apple. 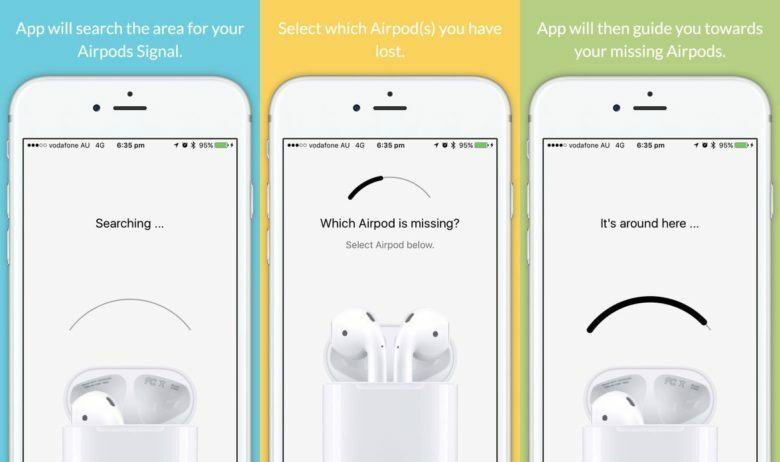 Apple has pulled a third-party app that helped users locate lost AirPods. AirPods have been incredibly well-received by early adopters, but many have a fear of losing them. Without wires, they’re easily lost inside a bag or between the cushions of a couch, and Apple charges $69 for one replacement earbud. Finder for AirPods wanted to help users dodge that fee by making AirPods a little easier to locate. It used the Bluetooth signal strength of the missing earbud to establish approximately how far away it is. It wasn’t the most accurate system, but it was better than nothing. What’s more, the app was useless if the missing AirPod was out of Bluetooth range. So, if you dropped the earbud in your car or left it in your desk at work, Finder for AirPods couldn’t help you. Some users might have been disappointed after paying $3.99 for the app. Now that the app has been pulled, there won’t be any future updates unless Apple changes its mind and allows it to return.